Tuesday started her 5th round of chemo yesterday. It was very hard for her to have to say goodbye to her siblings once again (especially her twin sister. They both were in hysterics when she left) but it has to be done so the fight to remove that horrible cancer from her body can continue. Last night Tuesday's mom showed me a picture of the tumor after it had initially shrunk from the first rounds of chemo. It was huge! And she said it was nothing compared to what it had been. After this round of chemo they will do more scans to see what progress the chemo has made in shrinking the tumor and to also prepare for surgery which will occur in early November. Please pray that the tumor has shrunk enough to be completely removed with surgery. The surgery is major and I know Tuesday's family is very nervous and can use every prayer that is sent their way. Tuesday has been such an inspiration to us all and I pray that the scans will show a tiny tumor ready for removal. Debi over at Who Says Eight is Enough is sponsoring a Discovery Toys fundraiser for Tuesday's family. This is the perfect opportunity to buy some great toys for your children, grandchildren, god children, or that guy down the street who think is really hot's children for Christmas while giving back to Tuesday's family so they can have a nice Christmas as well. Here is an excerpt from Debi's blog about the fundraiser. I know many of us are suffering in this economy but if you buy a couple toys that you were going to have to buy anyway, you can also get the overwhelmingly wonderful feeling of giving to a family who truly deserves it. From today, October 20th, until November 17th I will be hosting a Discovery Toy party to benefit little Tuesday's fight against Neuroblastoma. Please take some time to view her family's blog, Go Blog Yourself, so that you understand why I felt compelled to help them out. Please DO NOT place your order online. If you do, the purchases will NOT be credited to this party :(I have attached a copy of the order form here and all you have to do is click on it to increase the size and then save it to your computer. 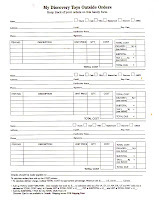 Then, you can fill it out and then send your order form to Barb (from Tale of Two Twinkies, she is a DT consultant). Barb will then add the shipping costs and taxes if applicable. She will also work out how you are paying. You can either pay her direct via credit card, or you can send your payments to me through Paypal or Revolution Money Exchange. Might I also suggest that you combine orders with friends, as the shipping tends to be a bit high due to the fact that everything is being shipped separately and not to our hostess, Miss Tuesday. Now, on to the fun stuff....Discovery Toys has some really GREAT educational toys! And, I would personally like to suggest a few items that I have bought in the past. I have had this CD since David was a baby. I have played it every single night in my kids' rooms when they go to bed since 1995. 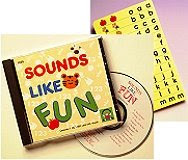 I can sing the songs forward & backward & in my sleep, but I will be the first to tell you that EVERY one of my kids has learned phonics from this CD by the time they were 3yrs old, known their days of the week, months of the year and even learned Spanish. And, I am VERY proud to say that both Emma & Will can sing the phonics song and count to 100 by tens! If you buy nothing else, BUY this! I have had one of these for years and years. It is just great for babies from 2 months to 3 years old. 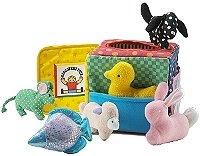 Obviously, my babies always started out just chewing on the different textured toys, but as my kiddies get older, they play "find the____" , etc. It's very versitle and machine washable. 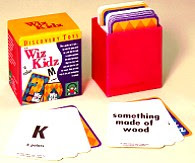 We LOVE playing this!Obviously, there are MANY other items from Discovery Toys, but these are on the top of my MUST HAVE list. PLEASE, have fun and try to remember why you are shopping.... Tuesday and her family. Once the party is through, Tuesday's parents will get to pick out lots and lots of fabulous toys for their children for the holiday season, at no cost to them! I do hope you consider participating in the fundraiser. if you have no need for toys then you can always click on the donate button on the right hand side of my blog and give what you can. Ever dollar helps! Thanks for posting this Shar! Thanks lovie. Tuesday is home tonight and all out of sorts. Hopefully tomorrow is a better day.